*New Patients only. Includes a comprehensive exam, 1 cleaning, and bitewing x-rays. Must redeem across 2 visits. Call for details. Some insurance patients do not qualify for free cleaning. We want to help you now, and will try our best to schedule your appointment as soon as possible. No Insurance? No Problem. Ask about our Healthy Lifestyle Membership Plan. Excellent service, based on decades of experience using modern dentistry techniques, right here in Stuarts Draft—that's Long Ridge Dentistry. Our family owned practice has been providing family-friendly dental services in a hometown environment for over 55 years! Don't put off your dental health—it's easy to make an appointment. 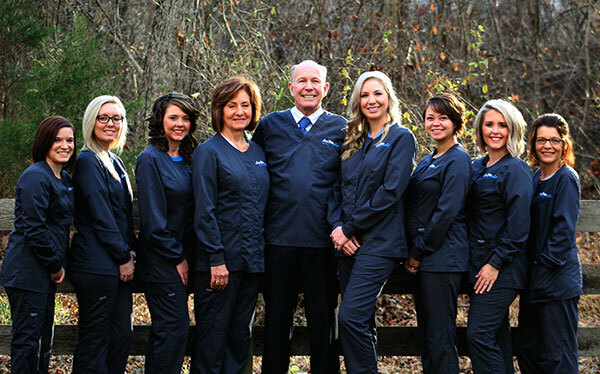 Long Ridge Dentistry with Dr. James F. Hutchens BS, DDS in Stuarts Draft, VA, is a family owned dental practice providing family and cosmetic dental services in Stuarts Draft and the surrounding area since 1960. 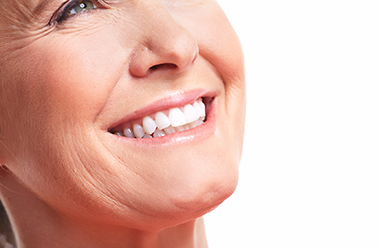 We practice a full scope of general and cosmetic dentistry with experience ranging from porcelain veneers to dental implants, crowns and bridges. Dr. Hutchens can now correct a wide variety of so-called permanent cosmetic dental problems, and can literally redesign your smile. 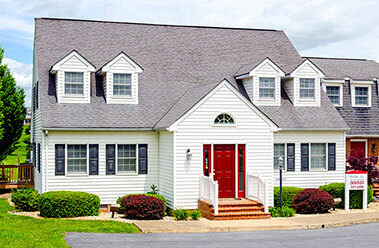 Our office is located at 2780 Stuarts Draft Highway, Suite 102, Stuarts Draft, VA. Call us at 540-337-2400. Dr. Hutchens is an amazing dentist. I used to not like going to the dentist, until I met Dr. Hutchens. He as well as the staff are great, very friendly, and always want to be sure your comfortable. Great service, am looking forward to in rolling my whole family with this dentist. Best dentist I've ever been to. Dr Hutchen's group has always taken good care of me. Everyone was so kind, they were fast, and tried to get everything done for me that they could knowing I have a tight schedule. I will definitely be back and refer family and friends to this practice. Thank you all so much! While on vacation, I developed a toothache and called dr Hutchens who also was on vacation. His staff contacted him and he called a prescription to ease my pain so I could complete vacationing in Canada. Upon my return he worked me in quickly to assess my 'root cause' and tread td started. His care for me even being 700 miles away was above and beyond. Thanks Dr Hutchens. Dr. Hutchens is a very good dentist. He is friendly, kind and very thorough when he examines you. Everyone in the office I met was nice and they explained everything and made you feel very comfortable. I am very glad Dr. Hutchens is my dentist. Great service, am looking forward to enrolling my whole family with this denist. Excellent dentist and friendly caring staff. I have had many years of quality dental care from Dr. Hutchens. He truly cares about his patients. DR. Hutchens is an excellent dentist, I found him to be very polite and thorough with his dental procedures. I would highly recommend him. He is an excellent dentist, I have gone to him for many years. I should know because I am a dentist. I really appreciated the follow up call this evening. It was a nice personal touch. Great service, friendly staff, and very professional. They answered all my questions I had and were very informative. I would highly recommend them. The receptionist office was full of staff and seemed very busy. My cleaning seemed to take less time because of new equipment and I liked that.